Cozy and beautiful Kerama Beach Hotel definitely deserves to be listed in the favorite place of tourists on Zamami Island. And those who are looking for a hotel near to the beach will love this one because it is only 70 meter away from the beach and two km from Kerama Kayak Center. The hotel is situated in a very secluded area and it’s a little bit far from the port but you will be offered a free shuttle to and from if you ask for. From Tomari port there are two ferries; a slow one (two hours) and a fast one (one hour). Free facilities of Kerama Beach Hotel include guest laundry and breakfast which you can enjoy in a cocktail bar and a terrace. This welcoming place is very popular due to the best and correspondent staff. In Tokashiki Island usually one can find rather guest houses than hotels but Kerama Beach is a typical hotel and it’s really very cheap. Kerama Beach Hotel rooms are quite well equipped and offer flat-screen TVs and mini fridges, bedrooms and even coffeemakers. You will also love the private terrace where having a rest and relaxing in the evenings is really enjoyable. If you want to book big size room with AC and a balcony with sea view, bathroom with a tub and Japanese toilet, do it before your visit. Your stay on Zamami Island will be complete and great if you choose this hotel. The staff is kind and communicable and makes this hotel homely. Even if you ask them to accompany you to the island too many times a day, they will do it with pleasure because here everyone wants to make it pleasant for the guest. The staff is so helpful that picks you up at the ferry and they can become even your guide wherever you go. Even the fact that the workers can’t speak English or they know at least a few words will not hinder your communication. They provide visitors plastic covers on the seats so that you can be picked up in wet sim wear. The hotel also gives towels, snorkeling gear and other beach items and you will not have to waste your money on buying things that you are not going to use anywhere else but in Tokashiki. The food varies from Japanese to Western cuisines, therefore for every taste can be found delicious meal to enjoy. There is no buffet, the stuff serves you in the restaurant or bar. If it’s your first visit, it’s highly recommended to try Japanese food in small proportions, after you get used to it, eat how much you want. Hotel offers snorkeling boat tours and you can spend hours following tropical fishes and the plenty of sea turtles. Constant shuttles are available to the beaches. Visitors enjoy not only swimming and snorkeling but also calm and relaxing atmosphere of the beach. You can enjoy vivid sunsets and the astonishing appearance of the beach. 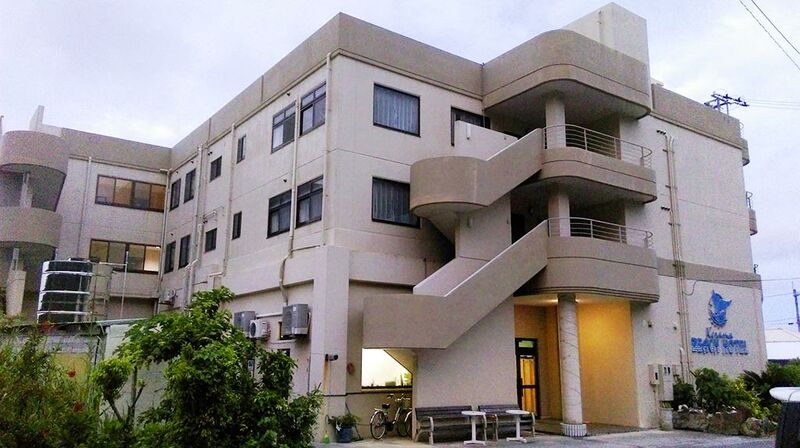 Kerama Beach Hotel and surroundings are perfect for those who want to be isolated from the whole world and get acquainted with the mysterious and impressive history of Japan and its warm people.